It is indeed a beautiful time to be a Tiger! Jackson State University is currently celebrating 140 years of excellence, and I am truly blessed to lead an institution entrenched in such a rich legacy. 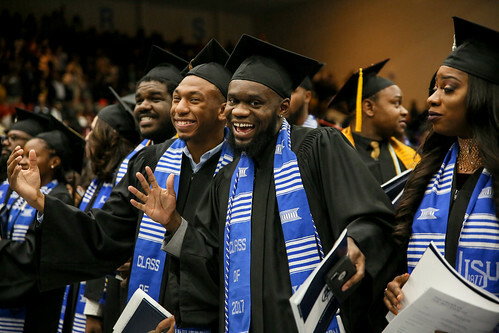 The numerous accomplishments and accolades, which help tell the history of JSU, give us all reason to boast ‘Thee I Love’ for endless years to come. You, our faculty, staff, and students, continue to set the bar high in every field imaginable. The JSU community is brimming with an abundance of talent that cannot go unacknowledged or be obscured. The vast contributions are numerous, and it is a pleasure to witness such unfailing support and devotion. Yes, we still have challenges to overcome, but I am also confident that we will be on solid ground within a couple of years. To improve our efficiency and effectiveness, we have begun implementing university-wide policies and procedures as promised. However, with these changes, JSU experienced an expected drop in Fall enrollment. To fill the gap, we need your help and unbridled passion. Please, continue to speak positively and elevate the name of your alma mater which will contribute greatly to our recruitment of new students. As previously mentioned, we must prepare for the major impact of a gradual reduction in Ayers funding and additional cuts to state resources. As alumni, we ask for your continued financial contributions to this prestigious University. You are a significant reason for Jackson State’s esteemed reputation and why it is held in high regard. But, now is not the time to become stagnate. We must bolster our resources and persevere. So, here is my charge to you. Show your school spirit each day by displaying your diploma in your office and consider making a recurring monthly gift at http://www.jsums.edu/giving/. Also, if you are a Mississippi resident, purchase our new JSU car tag. We may encounter obstacles, but we will overcome them together, because we are, and will always be – ONE JSU. William B. Bynum Jr., Ph.D.